Hazardous waste is, by its very namesake, dangerous. Disposing of it isn’t as simple as tossing it in with the trash; the Environmental Protection Agency (EPA) has strict regulations about understanding whatkind of hazardous materials you’re working with to ensure they are properly disposed of, keeping you and the environment safe throughout the process. 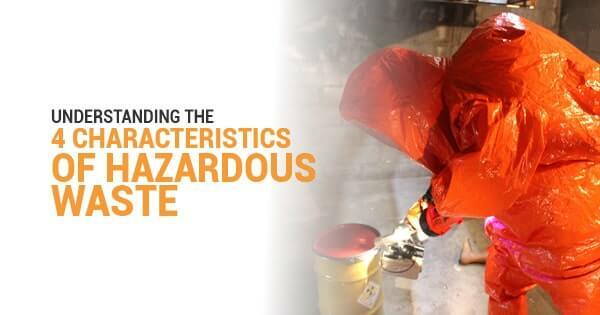 As a result, most hazmat workers are required to complete up to 40 hours of OSHA training so they are able to identify the type of waste: here are those four types (and their characteristics) explained. Ignitability: Working with hazardous wastes that have ignitability characteristics means they are flammable. This category gets further broken down into three forms: Liquids with a flash point (a.k.a. 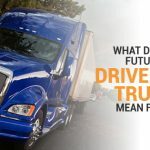 the lowest temperature at which fumes above waste ignite) of 60 degrees Celsius or 140 degrees Fahrenheit — such as alcohol, gasoline, and acetone –, solids that spontaneously combust, and compressed gases and oxidizers. Proper OSHA hazmat training and hazmat certification can keep you safe from any accidental fires that may occur from these materials. Corrosivity: These materials (like hydrochloric acid, nitric acid, and sulphuric acid) have the ability to break down and eat through their containers. Any liquid with a pH of less than or equal to 2, or great than or equal to 12.5 (the extreme ends of acidity and alkalinity), or has the ability to corrode steel is considered a corrosive. Utmost care must be taken when handling or transporting corrosive materials as the liquids and their fumes can cause serious damage to the human body. Reacitivity: This denotes waste that is extremely unstable, routinely experiencing violent change, which includes the potential for explosion or the release of toxic gases when combined with water. 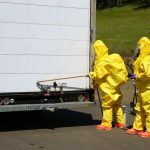 Completing hazardous materials training, especially the DOT training course for transportation purposes, can make the difference between successful disposal and the loss of life or limb. Toxicity: Poisonous materials are detrimental to our health when we come into direct contact with them, but they can also cause widespread problems if they come into contact with groundwater. The first three characteristics on this list are categorized as “immediate and firsthand dangers” by the EPA, but toxicity is less urgent — however, it shouldn’t be taken any less seriously. Contamination can seriously impact human health and the environment if not handled properly. Working with hazardous wastes is no easy job, but if you have the proper training and knowledge, it may feel that way!